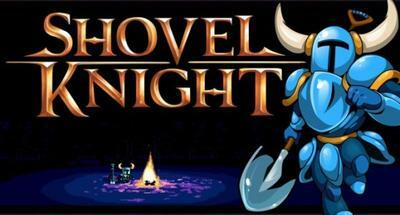 Tucked in the back corner of a room on the bottom floor of the New York Comic Con's host building was Shovel Knight. It was a part of Nintendo's offerings for the show; but, instead of being featured on the massive convention floor, Shovel Knight was in a room dedicated to eShop efforts. This is a retro action platformer in the strictest sense of the genre. Yacht Club Games, a studio founded by former employees of WayForward, has built a massive, virtual nod to everything that made gaming back in the late 80s and early 90s so special. This title packs silly characters, 8-bit graphics and a delightfully crafted soundtrack. In fact, the soundtrack is so gloriously retro that, in addition to the talented Jake Kaufman, Yacht Club Games got Manami Matsumae to work on some of Shovel Knight's tunes. That's the same composer who worked on the soundtrack for the original Mega Man. You play a knight with, yep, a shovel as a weapon. You can scoop at enemies and projectiles in order to cause damage. You can also press down while in the air to use your shovel as a pogo stick. This also deals damage to enemies, but one of its more interesting functions is bouncing off of specific obstacles in order to move about the environment. When you're not contending with enemies and figuring out their attack patterns, you're employing that classic sense of precision platforming that you may or may not remember from the olden days. You'll time jumps, dodge obstacles and move from point A to point B while trying to escape as much damage as you can. The entire demo gave off waves of the original DuckTales on the NES and Mega Man. The motion, the look, the character movement and the ability to pogo off of enemies and certain objects are all ever-present. Shovel Knight is contemporarily retro, and it's wonderful for that reason. Thanks to a successful Kickstarter campaign, Yacht Club Games will release Shovel Knight for the PC, Wii U and Nintendo 3DS this coming winter. Once that happens, I'm pretty sure either Ron or I will be quick to hit it with a review.